The Articulated Rights and Constitution of the Township of Montauk. October 6th, 2013 Notice of Entry of Court of Appeals transfer to Appellate Division 3rd Department. Ficalora Affidavit (use bookmarks) | Mtn to Dismiss (granted 15 May 2013) | Dismissed! December 12th, 2011 - John Wood of Change.org writes that President Obama proposed a veto of Section 1032 of the NDAA, which does not pertain to the detention of American citizens. Rather, that section deals with the use of the US military in taking custody of suspected criminals. Section 1031, which actually deals with the indefinite imprisonment of Americans, remains not only unopposed by the Obama administration, but the president has made sure that the law specifically includes Americans, urging Congress to redraft the legislation with increasingly confusing wording that makes the legalization detrimental to America. President Obama could sign off on the legislation as early as tomorrow, December 13 if he chooses not to exercise his veto power. The bill, which includes budgetary provisions for the US military, comes at a price-tag several billion dollars cheaper than the president had asked for of Congress. IMPORTANT PRESENTATIONS up on YouTube! January 12th, 2009 - Motion to Reargue is fully submitted before the high Court of Appeals in Albany. Solicitor General [clerk letter] and East Hampton answer the motion. May 8th, 2007 Appellate Division decision, Motion for Leave to Appeal and the Appendix on Appeal were also before the court. December 4th, 2008 - Attorney Jason B. Kolodny, Esq. returns to file and serve Verifying Affidavit and Verified Original of Motion to Reargue! October 6th, 2008 - Clerk's office continues to seek to return motion payment. Awaiting attorney action. September 29th, 2008 - Clerk's office rejects papers, awaiting attorney action. January 23rd, 2008, Attorney General's office enters affirmation in opposition to Motion to Vacate (awaiting copy). Court rules prohibit a reply to this affirmation. January 15th, Motion to Vacate and Notice of Appeal have been served upon all parties. All papers sent priority mail to defendants. Court receipt for motion filing fee. December 18th - Appeal Dismissed (want of prosecution). December 11th, 2007 - due diligence, a new retainer agreement with Jason B. Kolodny, Esq..
October 11th, 2007 - Court of Appeal's Clerk's office sends letter affirming filing! September 6th - Signature drive ends at meeting at Firehouse- 59 fully informed Montauk property owners' signatures collected! August 16th. 2007 - Noticed meeting of Montauk Freeholders is held at the Montauk firehouse! Signature gathering commenced upon a Petition to Hon. Governor Elliot Spitzer and Hon. Chief Judge Judith S. Kaye and the New York Supreme Court, Court of Appeals in Albany. Without our Law postcard is mailed to 4,000 name list! June 8th, 2007 - Motion for leave to Appeal to the Court of Appeals is filed with Appellate Division. Denied July13th, 2007. February 9th, 2007 - MFOP/Montauk Trustee Corporation files its annual Notice of Exemption with supplements to record. December 5th - Motion is filed w/supplemental Reply! December 24th - Montauk's Motion is Granted! June 22nd, 2006 - Governor, Suffolk County and Town Board answer appeal, County files motion to dismiss. April 27th, 2006 - Appeal filed with the New York State Supreme Court, Appellate Division, Second Department (856 page 50mb pdf file) Affidavit and service September 2005 Montauk Gazette (copies returned by court clerk) Service. April 5th, 2006- Clerk's office replies with necessary changes. November 19th, 2005 - Montauk Appeal filed with the New York Supreme Court Appellate Division, 2nd Department, in Brooklyn! October 25th, 2005 - Court of Appeals transfers appeal to the Appellate Division, Second Department. October 12th, 2005 - Montauk's Jason B. Kolodney, Esq. submits Affirmation and Service of Montauk Gazette to Court of Appeals. September 16th, 2005 - 4,261 copies of the Sept. 2005 Montauk Gazette mailed to all Montauk property owners PRE-SORTED FIRST CLASS MAIL (delivered 9/22 at Montauk). August 19th, 2005 - East Hampton replies to Montauk's appeal (attaches 1788 law, use bookmarks). August 3rd, 2005 Town of Montauk, Inc., files appeal to the New York State Court of Appeals! (USE BOOKMARKS - Searchable PDF). June 20th, 2005- Amended Petition denied, constitutional appeal to Court of Appeals is planned. Dispute with Attorney Stephen G. Court email record. March 30th, 2005 - HISTORIC PROCEEDING FILED IN THE NEW YORK STATE SUPREME COURT TO RECOGNIZE AND ESTABLISH THE INCORPORATED TOWNSHIP OF MONTAUK! January 11th, 2005 - Appellate Docket no. 2005-339 is assigned. Searchable pdf of book "MONTAUK" is here. News! - November 24, 2004 - Montauk returns to court with an attorney! Problems with delivery of the November 2003 Montauk Gazette by the U.S.P.S. to Montauk addresses. Discussions with postmaster Debbie Miller are continuing and a formal complaint is being considered. New mailings will be made with notice. May 6th,2004 - BACK TO THE TRIAL COURT! Court of Appeals sets the stage by dismissing Vorpahl case and Intervention by the Incorporated Township of Montauk (Court reporter. May 6th, 2004). 2001 Affidavit of Robert A. Ficalora . March 31st - Governor Pataki accepts service of documents in the Vorpahl case at the Court of Appeals, but the township's motion to join him was rejected by the court. Motions upon notice of intervention and for adjournment pending appearance by Attorney General Eliot Spitzer, Esq., have been accepted and are still pending. March 4th, 2004- Town of Montauk intervenes at Court of Appeals in the Vorpahl case!!! 4,330 copies of the Montauk Gazette mailed in Nov. 2003 as notice to all proprietors of record with copies to Governor Pataki, Attorney General Elliot Spitzer and the courts. Proprietors' Fourth House? Montauk Trustee June 17th petition to Governor Pataki (pdf, 34 pages updated 6/30 to include affidavits of service) Sold to Amedeo and Antonella Gabrielli by deed dated July 10, 2003. MONTAUK GAZETTE MAILED NOVEMBER 5TH, 2003! Tax data containing the proprietors' list of all Montauk taxpayers was provided by Suffolk County Treasurers' office with the school district field for sorting Montauk from the East Hampton. Copies are also being formally served upon Governor George E. Pataki, Esq., Attorney General Elliot Spitzer, Esq., and Chief Judge Judith S. Kaye. As of July 31st, 2003 Vorpahl case active in Southampton upon Dec. 11th, 2002 Appellate Term remand. Nov. 9th, 2002 - Montauk Trustee Corp. notices high Courts of its resolve to commence town meeting process (4 pages). The March 10th 1690 letter by Easthampton to Jacob Leisler. N. Y. State's appeal against Stuart Bennett Vorpahl Stuart answers the State's appeal and moves the court for discretionary relief in the interest of substantial justice. April 18th 2001 reply letter from the New York Attorney General's office to appellant's notice pursuant to rule 500.2(d) of the Court of Appeals ("Where a party will assert that a statute is unconstitutional, notice shall be given to the Attorney General...". May 1st, 2001 - Court of Appeals issues sua sponte order maintaining its position that acting president and corporate assignee Robert A. Ficalora, a non-attorney, is not the authorized representative of the MFOP/Montauk Trustee corporation in dismissing its appeal. May 31st, 2001 - MFOP/Montauk Trustee corporation moves for reargument of the May 1st decision and order. The corporation admits error and files papers formally withdrawing attorney Joel R. Kupferman, Esq., as attorney of record pursuant to CPLR 321(b) as of October 26th, 1999. Letter from Suzanne Aiardo, Chief Motions Clerk, Court of Appeals, June11th, 2001. July 10th, 2001 - Case dismissed! The Court of Appeals denies reargument. Ficalora letter to the East Hampton Star (July 19th edition). Note: Certificate of Incorporation of Montauk Friends of Olmsted Parks, Inc.
March 16th, 2001 - TOWN ANSWERS NOLO CONTENDERE! Provides no assistance to the court in support of extraordinary sua sponte review. 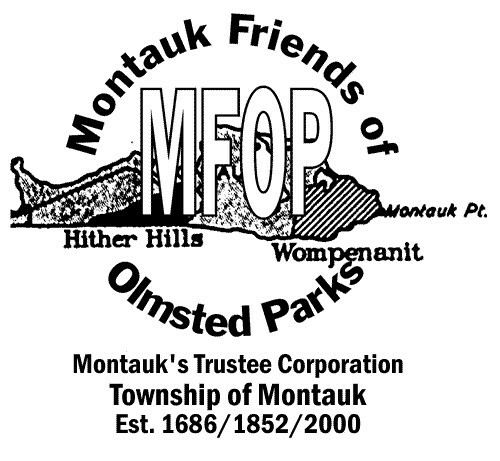 March 27th, 2001 - MFOP/Montauk Trustee corp. replies to the Town Board's answer of March 16th and document's the acting board of Trustees' attempt to obtain a legally recognized public notice of a Town Meeting in Montauk. Orders and filings is listed below in chronological order. OSC denied, motion calendared for December 8th, 11/29/2000. Montauk Trustee corporation adopts The Articulated Rights and Constitution of the Township of Montauk, 12/5/2000. Town's reply. Notice that they continue to be unable to produce any evidence of legal existence for the Town Board. New York Attorney General's reply to notice pursuant to rule 500.2(d) of the Court of Appeals. "Updated Oct 18th, 2001 - The legal matter brought against the town board government of East Hampton and Sunbeach Montauk II, inc. (Montauk Trustee case) was for determination of Montauk property owners' rights to the Benson Reservation properties in Montauk and to determine the legality and constitutionality of East Hampton's claim of jurisdiction over Montauk. The N. Y. Attorney General's office deferred intervention until the court would determine "whether this appeal involves a substantial constitutional question." The Court of Appeals did not address that question, however, and instead dismissed the matter on the ground that Mr. Ficalora, a non-attorney, cannot represent the MFOP/Montauk Trustee Corporation. No trial was had in any of our cases, and it is uncontested after four years of litigation that Montauk is an incorporated Township. The town board of the Town of East Hampton is not a legally established entity and its claim of jurisdiction over Montauk is unconstitutional under both the state and federal constitutions. None of the cases brought before the Court of Appeals has been finally determined as a matter of law. Montauk' substantial properties and being injured or stolen and it's franchises - including that to tax and to govern - are being usurped." March 28, 2004 - the Town of Montauk, Inc. has noticed intervention and served a motion to join Governor Pataki in the action before the Court of Appeals in re: State of New York v. Stuart Bennett Vorpahl and the Town of Montauk, Inc. The return date on the motion for an answer by the Governor is April 5th, 2004, and there should be some decision entered by the court shortly thereafter. Montauk has moved for briefing and argument. For good, for law, for Montauk: in God we trust. Water Emergency and proprietors' claim. Last updated Tuesday, May 31, 2016 --> by Bob Ficalora The contents of this site are for your information only. 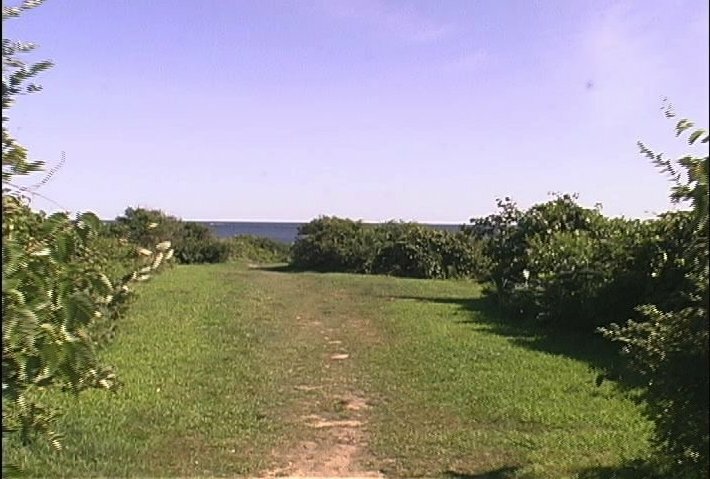 All rights reserved, ©1996-2011, Montauk Friends of Olmsted Parks/Montauk Trustee Corporation. Not responsible for typographical errors. Record on Appeal - Suffolk 97-23205 Against Planning Board and Building dept. Ficalora, individually and as acting president of MFOP v. Joseph & JoAnne Guarneri and town board government of East Hampton. 9/98 - 2nd Record on Appeal - Sanctions. Robert A. Ficalora as assignee of the Montauk Friends of Olmsted Parks, inc.,, v. the town board government of the Town of East Hampton, and Sunbeach Montauk II as claimant fee title holder of the Hither Plain and Bathing Reservation properties in Montauk. Opening Brief Upon rational, common law, and constitutional grounds. 10/23/2000 Appellate Division Order Under appeal upon constitutional grounds..
Was a secular direct, participatory democracy in Libya since 1977 now an al qaeda "representive democracy".